If your space yearns for interesting, colorful, drought-hardy plants, then look no further than succulents! Succulent plants are made for surviving in dry conditions and are perfectly suited for both indoor and outdoor environments. They are one of the easiest plants to care for and instantly add beauty and charm to your windowsill, desk, coffee table or garden! 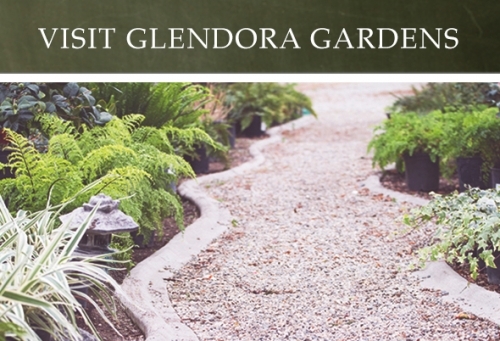 At Glendora Gardens, we carry a wide variety of exotic specimens and tried-and-true classics, many of which are grown right here in Glendora. 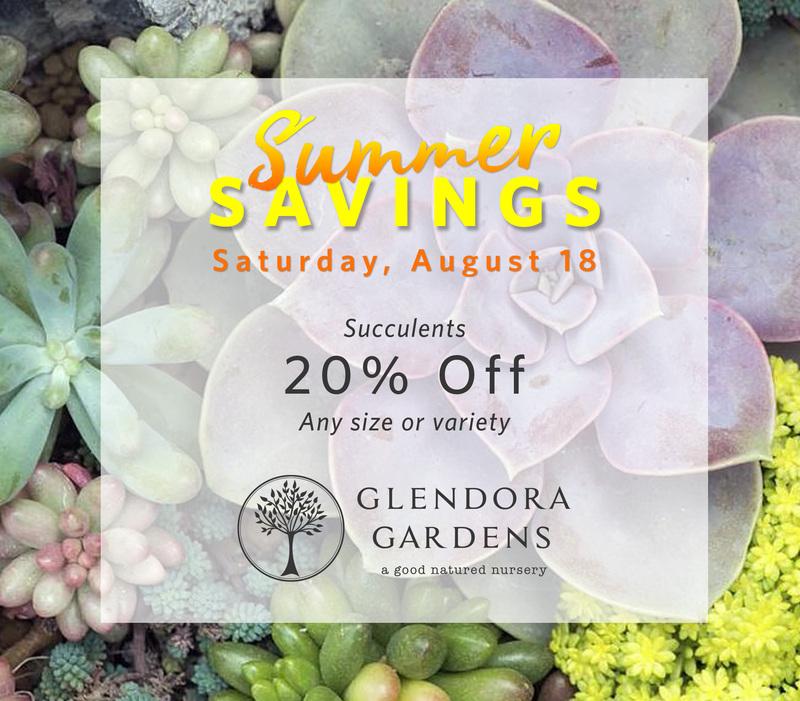 This Saturday, we welcome you to explore all that succulent plants have to offer and enjoy 20% off your purchase! We know how much you all love succulents (we do too! ), so here's another chance to stock up on your faves and save!